One of the first and most important priorities of brides is finding the right bridal dress. With so many choices available, the pressure to finding “the one” can be very overwhelming. 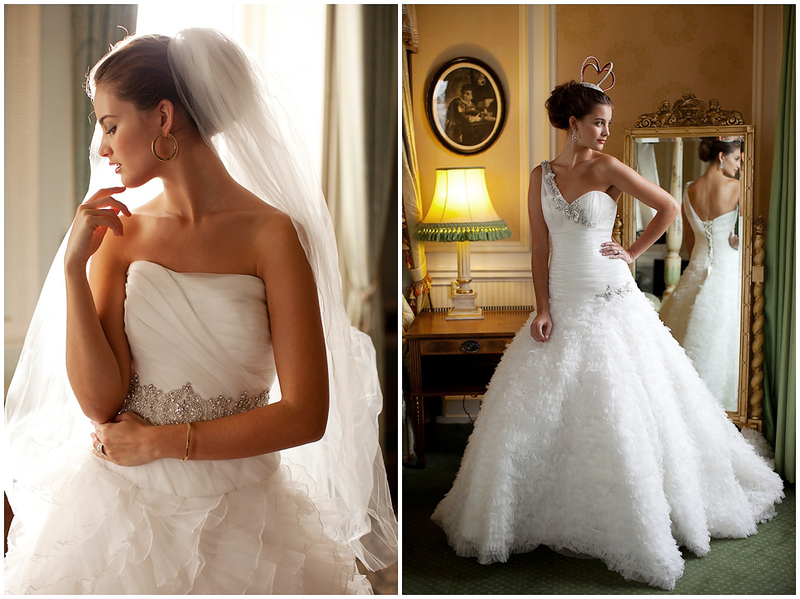 Understanding the terms used to describe different wedding gowns is a good way to start with. Here, we’ve decoded the bridal fashion terms that most designers and bridal shops use to label their dresses. • Couture – Couture wedding gowns are high fashion products, carefully created over a series of fittings to perfectly fit a bride’s measurements. When you choose to have a couture bridal dress, expect to have a one-of-a-kind gown, especially made in high quality materials, to fit your figure, taste and personality. These dresses have the best quality finish, design, and cut, with special handmade embellishments, such as embroideries, applique, and beading. Creating couture dresses require approximately five to six fittings with the used of toiles from early fitting stages. Demi-Couture – Demi-couture is a “half-couture” meant for brides who want special wedding dresses in singapore without having to go through a toile process. Usually, with demi-couture dresses, you can combine elements from wedding dresses available off-the-rack and have them especially made in your own size. These gowns feature more intricate hand works and higher quality of materials compared to average ready-made wedding dresses. • Made-to-Measure – This is a good choice for brides looking for a more affordable alternative to couture dresses. Made-to-measure bridal gowns are also made from scratch by any seamstress and materials of your choice. The dress is made following your measurements and calls for a toile process, which usually requires up to four fittings. In this case, you will need to provide your own fabrics and accessories or choose from the fabrics available from your dressmaker. • Ready-to-Wear – As what the name implies, these bridal gowns are ready-made and can be purchased right away from any Singapore department stores. Any necessary alterations will be made by a seamstress. When deciding what wedding gown to purchase, it would be wise to know the differences between couture and off-the-rack wedding dresses. • Fabric – Couture wedding gowns are expensive mainly because they’re made only from the finest materials. Unlike quality fabrics, cheap textiles do not hang well, lose shape, and will deteriorate over time. However, couture dresses are made from sublime fabrics that are durable and can maintain in shape for the longest of time. • Design – You can’t expect to get a one-of-a-kind dress when you choose to buy one from a department store, since mass produced dresses are made by batch and in the same styles, though in different sizes. With couture gowns made by renowned Singapore designers, you can choose your own fabric, shape, cut, and style to reflect your taste and personality. • Workmanship – Mass-produced dresses are often made with less attention to details. But with couture wedding gowns, much love and attention has been devoted to ensure flawless finish or every major and minor detail. Deciding on the kind of wedding dress to have generally depends on the preferences of the bride. However, knowing what to expect from the various choices in front of you will further help you choose which option is worth-having.